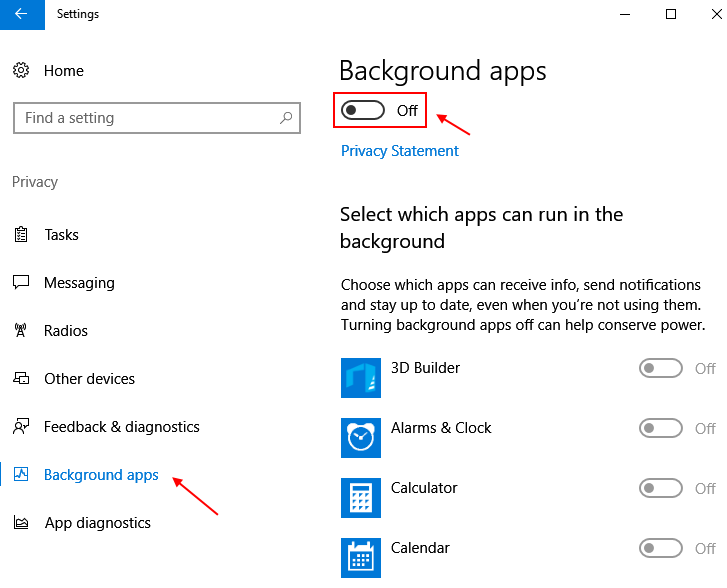 Ever wondered where’s your data vanishing post the upgrade to Windows 10? Well, if you are held up in an area with limited modem speed you are bound to face such issues. If you have noticed that Windows 10 loves to feast on data, in no time would you see them disappearing strangely. 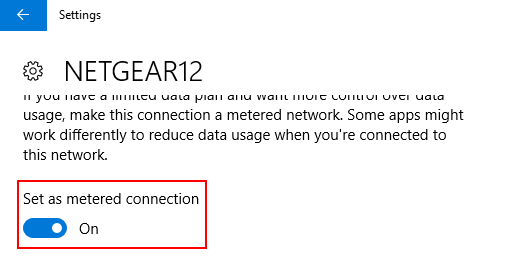 Even though we can set the connection to “Metered” the data still fast diminished without any clue. Wondering what’s leading to this heavy internet usage? Want to find out what’s causing your data to disappear? 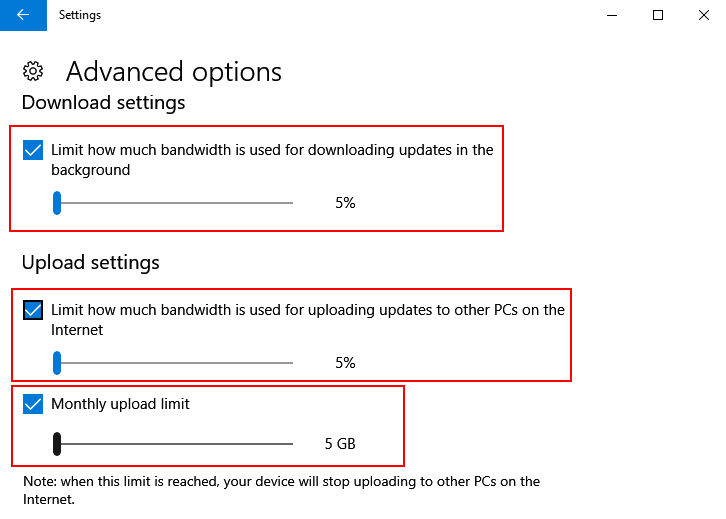 Today we will not only guide you through how to set your connection as “Metered” under the settings, but will also show you how to reduce Windows 10 internet data usage. 4 – Now, Click on your connected Wifi Network on the right side. 5 – Finally , Toggle on the option saying Set as Metered Connection. 3 – Click on Windows update from the left menu. 4 – Now, click on advanced options from right side. 7 – Now, check all the options and drag the slider to minimum value. 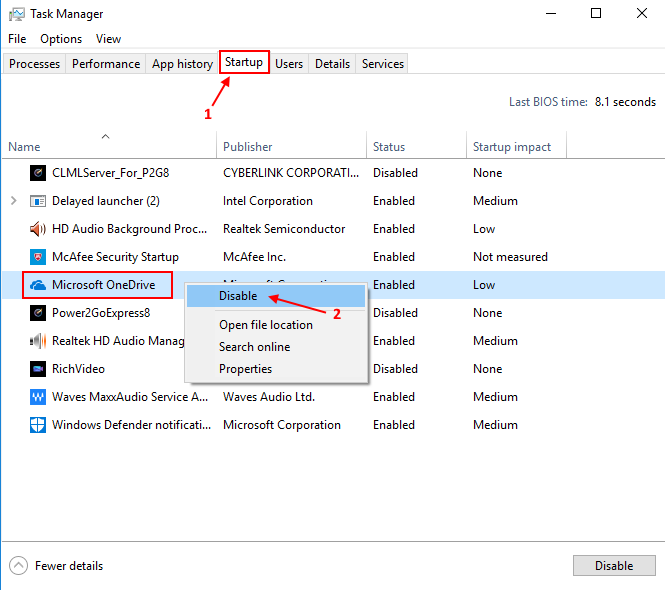 In order to deactivate the One Drive, right clicking on the “Task Bar” will open up a list. Select “Task Manager” from the list and click on it or alternatively use your keyboard shortcuts, such as, CTRL + SHIFT + ESC all at once. Under this you will see a series of tabs and the one that you need to click on is the “Startup” tab. This will further open up a list and here you need to scroll down and select “Microsoft OneDrive”. Now deactivate this option to stop “One Drive” from automatically syncing the files in the background. You should also disable other drives, like the Google Drive or the Dropbox in order to save data. Opting to keep the “Live Tiles” option “On” will keep the News application running in the background which will constantly keep you updated with the latest Feeds. Facebook, Twitter, Mail or Weather are certain apps that are interconnected with the Feed and will keep retrieving the News automatically. 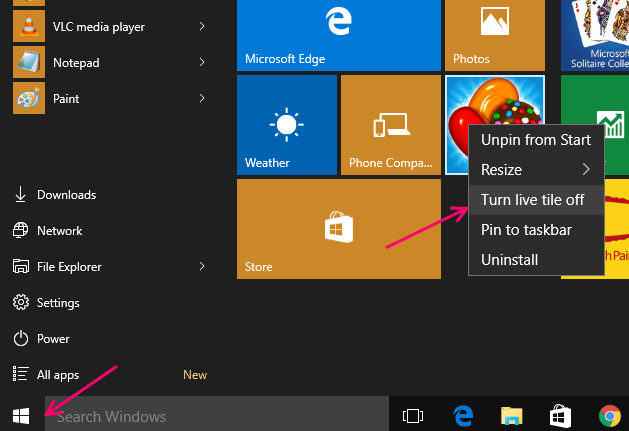 In case if you are not interested in the Feeds you can deactivate it the “Live Tiles” and opt out of it. Right click on the option “Tile” and select the option that says “Turn live tile off” and you are done! Just go to Settings -> Apps > Offline Maps . 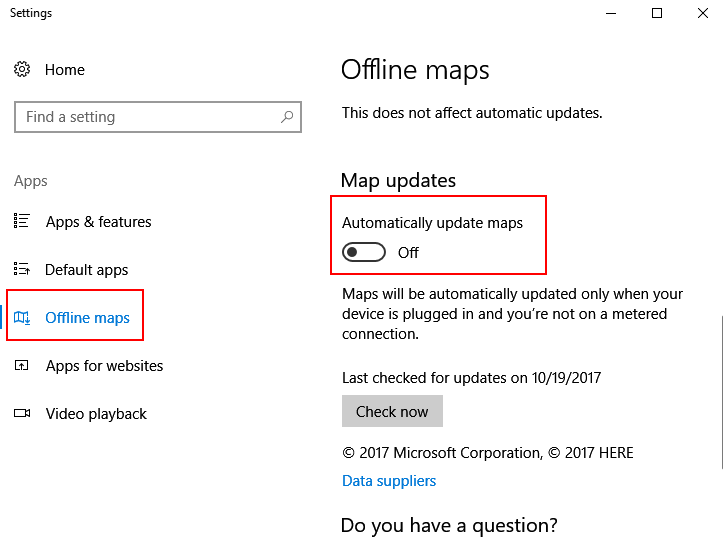 Turn off the option Automatically Update Maps. Yes! You also have this convenient feature in Windows 10 which allows you to actually delay/defer the Windows Updates. 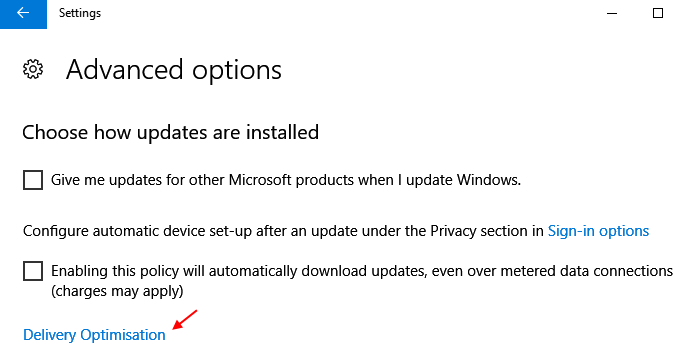 So if your PC is running an OS which is either Windows 10 Pro or Windows 10 Enterprise, you will find an option in the settings section of the Windows Update that will let you delay/defer the procedure of new features download for quite a few months. This definitely makes a huge impact as any update to the new features can be significantly big. And what’s more, delaying the Windows Update will not disturb either the download process or the installation procedure of the security updates! Also, it will not affect the downloading of the features forever, but only for a limited period. Go to the “Setting” option, click open the “Update and Security”, now select “Windows Update” and then click “Advanced Options”. Toggle towards the bottom and click on the check box next to the option that says “Defer Upgrades”. However, remember that by turning this on will also defer “Microsoft Updates”. Please note that you need not apply all the options that we mentioned here and you should rather apply the ideas based on the type of connection that runs on your OS. However, when applied tactfully these ideas will help you control the data consumption by Windows 10 in a much better fashion, thereby helping you save a good amount of data. Even though you may admire the PC sync function being the Windows 10 trademark feature, the fact is that it eats up a considerable portion of your data. So you really do not want it to run at the background unless required, hence, it’s a better idea to keep it switched off till the time you need to sync files. In order to switch the PC sync off you need to find the “Settings” option, go to “Accounts”, and find the option that says “Sync your settings” and now just slide it to “OFF”. Thanks for this post…i just followed the whole steps to save data consumption on my newly updated window 10.
thank you very much bro. I followed all the steps and find that it works perfectly and now my device is not juicing too much data . And before following these steps my data is going very fast. Thank you very much. This post would really help those ,like me , which are using the limited data connection to save their data for their useful work not for these all weather silly updates . Tried everything but my windows 10 home is still eating a lot of data. It has become a headache now. 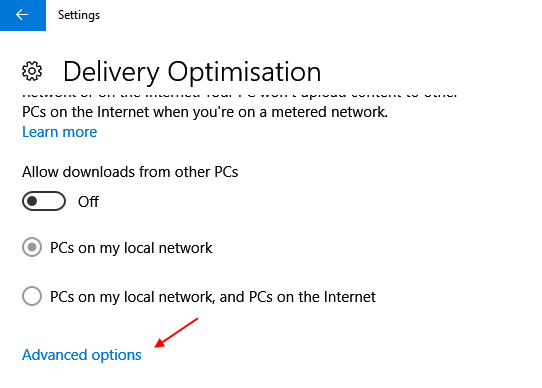 Metered option is not available in Windows 10 as on date!!!! This info is a waste of time for home users !